Professor Dermot Diamond received his Ph.D. and D.Sc. from Queen’s University Belfast (Chemical Sensors, 1987, Internet Scale Sensing, 2002), and was Vice-President for Research at Dublin City University (2002-2004). He joined the School of Chemical Sciences at DCU in 1987, and has led a series of large-scale research initiatives since then. He has published over 300 peer-reviewed papers in international journals, is a named inventor in 18 patents, and is co-author and editor of four books. He is director and founding member of the National Centre for Sensor Research at Dublin City University, possibly the largest and most successful centres of its type worldwide, with over 250 researchers, and income in excess of €100 million. He In 2002, he was awarded the inaugural silver medal for Sensor Research by the Royal Society of Chemistry, London, and in 2006 he received the DCU President’s Award for research excellence. In May 2014, in recognition of his academic contributions and achievements, he was admitted to Membership of the Royal Irish Academy. He is a PI in four FP7 projects, focused on distributed environmental sensing, fundamental materials chemistry and is coordinating partner of the EU-Australia International Network ‘MASK’, funded under the Marie Curie IRSEs programme. He is also a Funded Investigator under the SFI-INSIGHT Centre initiative. 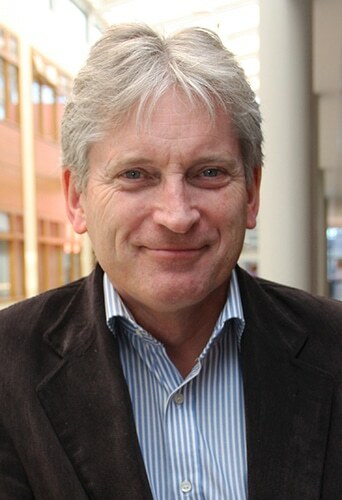 Dermot’s research interests are broad, ranging from molecular recognition, host-guest chemistry, ligand design and synthesis, electrochemical and optical chemical sensors and biosensors, lab- on-a-chip, sensor applications in environmental, clinical, food quality and process monitoring, development of fully autonomous sensing devices, wireless sensors and sensor networks. He is particularly interested in the using analytical devices and sensors as information providers for wireless networked systems i.e. building a continuum between the digital and molecular worlds.